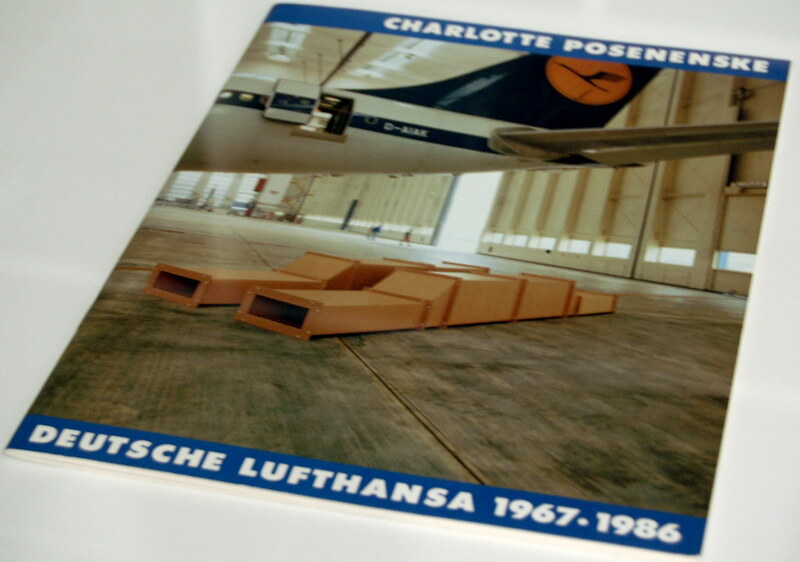 For its current Charlotte Posenenske show, Artists Space has made the superb decision to invite an artist to reconfigure her mutable 1967 sculpture Series D Vierkantrohre (“Square Tubes”) every two weeks. 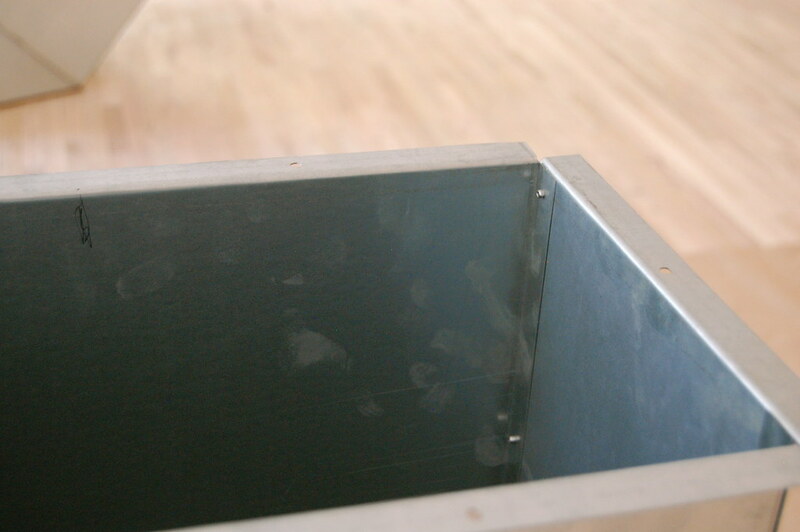 This allows visitors to see the work, composed of a series of steel boxes, in a variety of different ways over the course of the show. It also provides the opportunity to enjoy four separate receptions. Last night, Ei Arakawa’s installation was the cause for celebration, and the party earned a solid turnout, particularly for a Tuesday night opening devoted to work that has already been on display, albeit in a different form, since June 23. 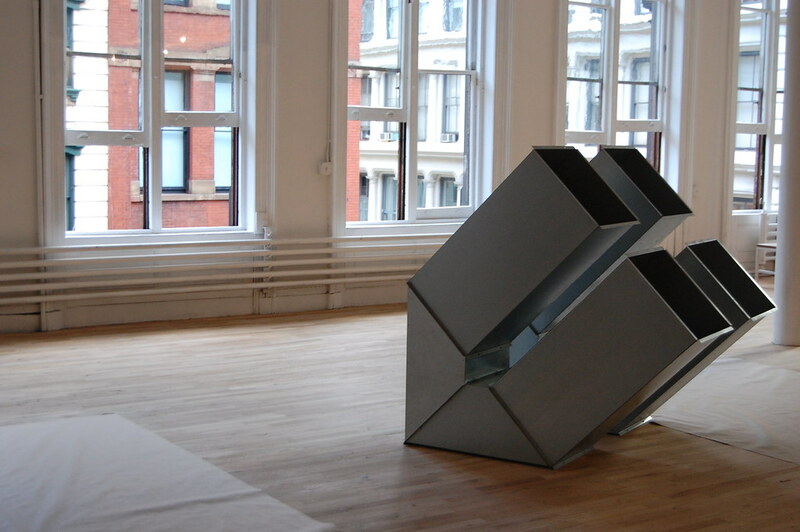 Along with her open-ended air-vent-style sculptures, Posenenske is remembered for her decision to quit art in 1968 to study sociology. This is something that almost everyone who writes about her work manages to mention. (Ken Johnson did it in 2008, Andrea K. Scott did it this week, and I did it last month.) “It is difficult for me to come to terms with the fact that art can contribute nothing to solving urgent social problems,” she wrote in a 1968 manifesto that was published in Art International, explaining her decision to leave the art world. She died in 1985. There are few things more unsettling in art history than artists who choose to quit their profession, or even simply choose to withdraw from the art world, since it seems to cast doubt on the hard work of all the artists, critics, historians, gallerists, auctioneers, theorists, and other inhabitants of the industry. It points directly to the fear in everyone that this whole art thing may actually be a big waste of time. One wonders, “Did Charlotte Posenenske face up to and accept something that we’ve all been trying to deny?” It also feels unnatural: an artist abandoning her supposedly God-given calling: it is like a mother killing her child. 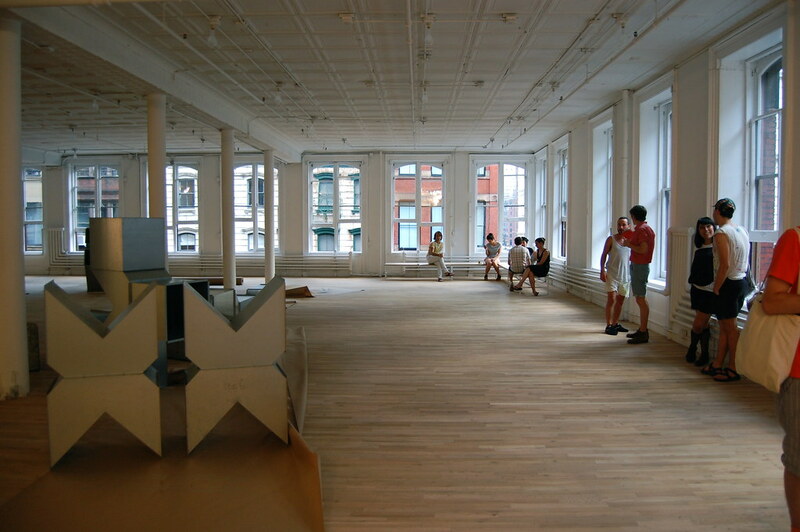 It turns out — according to some vigorous searching on Google — that a Berlin theorist named Alexander Koch has thought a lot about this issue and coined an efficient German term for the phenomenon for such quitters: Kunstausstieg, which he translates as “dropping out of art” and Google translates as “exit art.” Fair enough. In an interview, Koch contrasts Posenenske with Lee Lozano, saying that the former “chose social science to pursue her inquiries on participatorial practice,” while the latter instead “chose retirement in resignation.” (Poor Lee Lozano.) While there have been few major art-world dropouts, there have certainly been plenty of art-world suicides, though Koch has that covered, ruling that action “an exception, because it both is and is not a withdrawal.” There goes one idea for a dissertation topic. 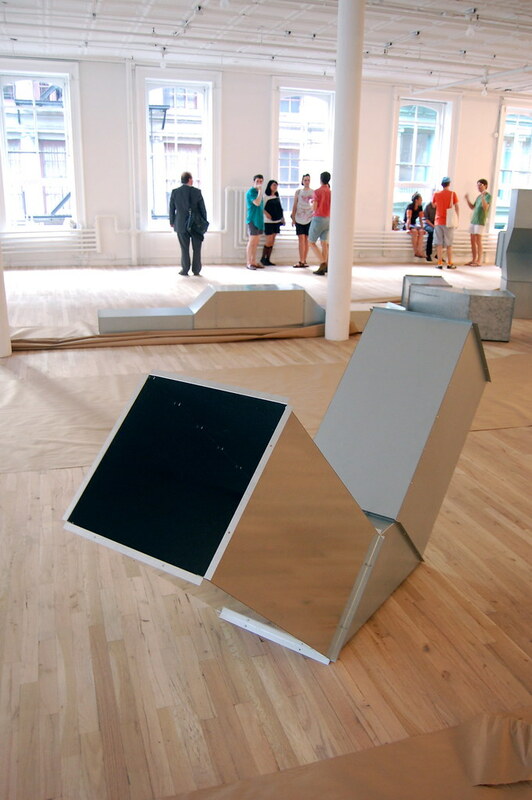 The Artist Space show — the first American museum show devoted to Posenenske, following her inclusion in Documenta 12 in 2007 and a solo show at Peter Freeman in 2008 — is remarkable. 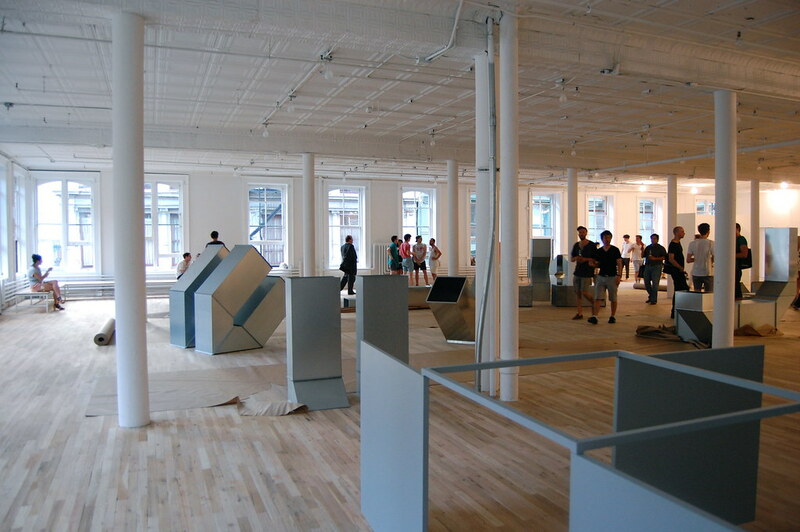 There are two more opening receptions left: Rirkrit Tiravanija is scheduled for July 20, and an artist “yet to be announced” is on tap for August 3. It would be wise to attend both. 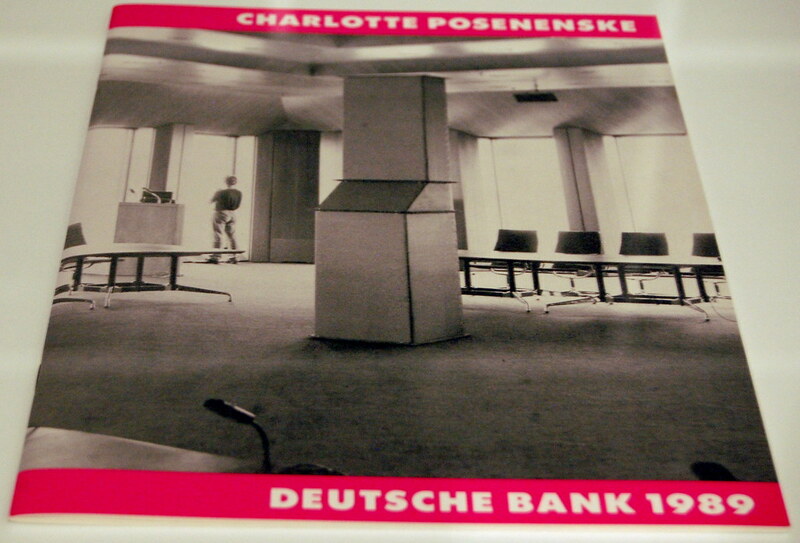 Posenenske's sculpture earned a devoted fans in the form of corporations like Lufthansa and Deutsche Bank. 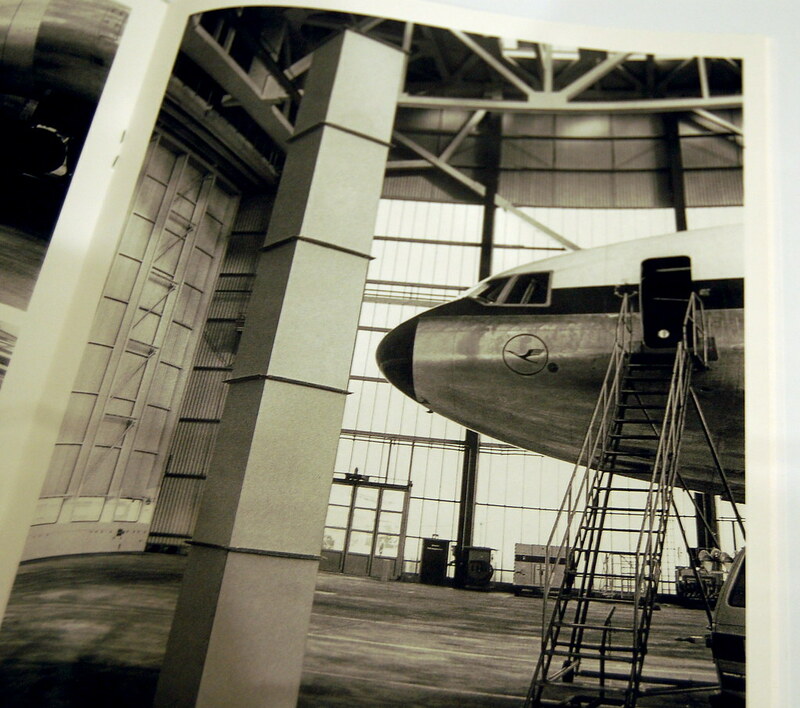 Artists Space has a set of booklets showing her work looking rather perfect in airplane hangars and corporate meeting rooms.